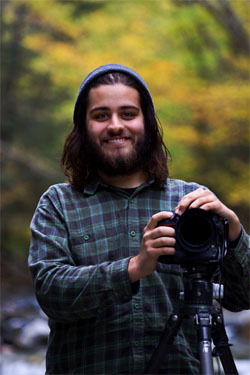 This month, our featured guest is professional photographer, Alex Mody. We want to thank Alex for his generosity in sharing his time and talents with us! 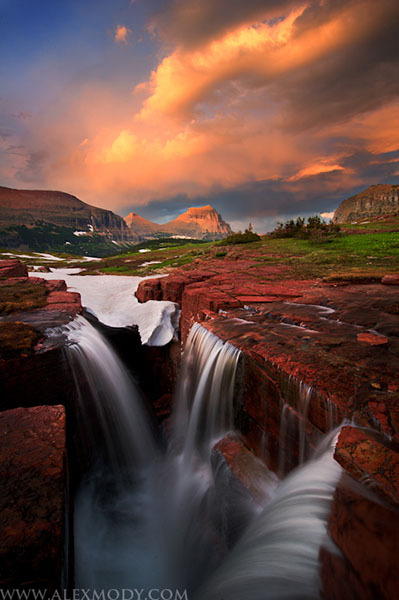 Please visit his site links to see more of his inspiring images. :: What got you started in photography? How and when did you get started? I acquired my first point-and-shoot camera when I was 4 years old, and I was hooked from that point forward. My photos were absolutely atrocious (some might say that about my work today! ), but I just loved having a way to capture and record all of the things I saw around me. Since a very young age, I have always enjoyed hiking, skiing, and being in the mountains. As my interests in the outdoors grew, and I got my hands on a DSLR, I realized that these two passions of mine could be combined. As I slowly discovered photographers whose work I enjoyed, and many of the amazing online resources there are at the disposal of a novice nature photographer, the snowball effect began to take place, and has led me right to where I am now. :: Do you get tired of people referencing your age with your photography? Do you think it helps give extra credibility because you have less experience in years, or does it hinder you at all because maybe some older professionals don't take you as seriously? No, I'm not quite tired of it, because to be honest, I don't personally hear about it very often. I think that there is a chance that many people who follow my work on the Internet don't realize that I'm 21 years old. I don't want to make a big deal about being young - I feel like I should be held to the same standards as any other photographer, regardless of age. Time spent and experiences in the field are where credibility should originate, not age. :: I know a lot of people might wish they had gotten started at your age. Does this add pressure for you to make the most of every shoot? I don't perceive much added pressure from that. Ultimately, I photograph because of how much I enjoy the process and the end result. Granted, it does feel great if I make a photograph I am really happy with, and the people that I share it with feel the same way. But regardless, that pressure is secondary to the pressure and drive that I impose upon myself. :: What is the Windland Smith Rice award, how did you win it, and how has it helped your career? The Windland Smith Rice International Awards is an annual, worldwide photography contest, run by the staff of Nature's Best Photography magazine. Each year, winning photographs in fifteen different categories are determined by a panel of judges, and exhibited in the Smithsonian Museum of Natural History. In 2009, I was awarded "Youth Photographer of the Year," and this photograph of a Barred Owl was selected for the exhibit. It was an incredible feeling to have a 48"x72" print of my work on exhibit in a museum I had visited repeatedly since I was a young, dinosaur-obsessed child. As far as it goes for having helped my career, it gave me a healthy dose confidence, and it put my work in front of a much larger audience. I see winning this award as having been a major turning point in my photographic experience thus far. It marks a bit of a transition; from thinking I was serious about my work, to actually being more serious about my work. :: Any plans to focus on other genres of photography other than landscape and wildlife? Have you worked with any other subjects during your time behind the lens? At the present time, landscape and wildlife photography consume such a considerable amount of my time and energy that I don't anticipate any changes or plans to focus on other genres of photography. I have dabbled, but I have learned that I like photographing mountains, oceans, trees, and wildlife far more than human-related subjects. :: This arguably is a profession that one can be successful at with no schooling, and you're on your way to becoming very successful. Yet, you're attending Evergreen State College in Washington, which is going to give you some freedom to develop your own course of study. How are you using this opportunity to grow professionally, and what is the ultimate goal by doing this? Some might argue that you really don't need to go to school at all, so why are you heading in this direction? At Evergreen, I am taking a plethora of business, English, and creative writing courses, as well as developing my own courses of study with photography-oriented independent learning contracts. These contracts are really wonderful because they allow me to become engaged in, and obtain, school credit for photography and professionally oriented activities that I would already be doing on my own. I am able to team up with a professor who assigns me reading and writing, and helps me design a course of study that revolves around my photography-related activities. It is nice to be able to start getting my feet wet as a professional while I am still pursuing my degree. On top of that, bolstering my skills and understanding of business principles, English, and creative writing can only serve to help me as a professional photographer. :: You've transplanted from the east to the west coast. What differences have you noticed in the photography "scene" in these two locations? Well, for starters, there actually is a "scene" out here. Back in the mid-Atlantic, there are far fewer avid and skilled nature photographers networking in real life or on the Internet than there are in the Pacific Northwest. 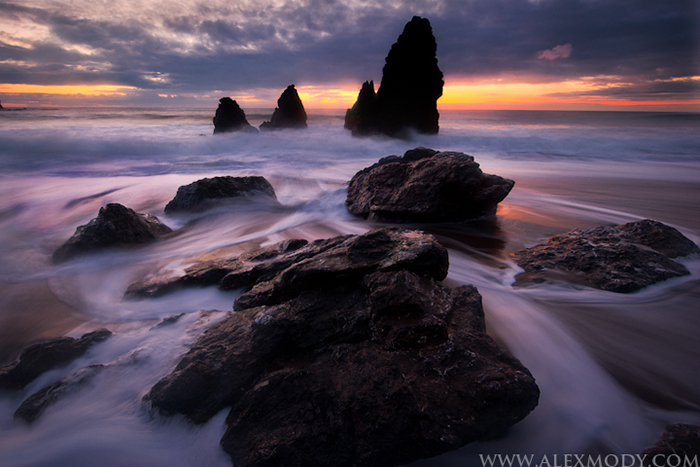 :: What has been the best piece of advice or teaching you've received from photography? Nature photography has taught me how to become a patient person. My experiences in the field have shown me that I can stand much to gain from slowing myself down, and waiting for factors that are largely out of my control to converge, and that it's not worth it to force/rush things, nor to ever give up. I understand how vague this may sound, but it applies on so many levels that I cannot state it any other way. Before photography, I had no understanding of this, whatsoever. :: What favorite piece of non-photography gear do you take with you everywhere? Scott Naturals Folded Moist Wipes accompany me everywhere in the backcountry - certain needs often arise from too many consecutive showerless days. :: In addition to landscape work, you do a lot of wildlife photography. Which do you find more challenging, and do you prefer one over the other? I wish I could say that wildlife photography was still a prominent aspect of my work, but I have really taken a step back from that aspect of photography. This past year I came to the realization that it is simply not possible for me to be as proficient of a landscape and wildlife shooter as I would like to be, so I have made a conscious effort to continue following what really calls me, landscape photography. Of course, as opportunities present themselves I will always take wildlife photographs, to some extent, but my primary goals will be landscape-oriented from here forward. :: You have a lot of really amazing shots of owls. Are they a focal point for your wildlife work? What challenges do you find with photographing these creatures, because I'll be honest, I've NEVER even seen a wild owl in my life, and I'd imagine it's quite tough to find them, let alone capture images of them. I don't always photograph wildlife, but when I do, I prefer owls. I feel the biggest challenge in photographing these creatures is simply locating them, and then having enough time and patience to wait for the right photographic opportunities to present themselves. :: Is there one image in your collection you like more than the rest, maybe due to the circumstances surrounding getting the shot, or because of a particular vision you had creating it that panned out better than expected? I honestly despise most of the photos in my collection, for some reason or another. That is not to say that I don't like them - I just find reasons to be less than perfectly happy about photos, and to wish for them to be stronger. So, I do like plenty of my work, but there is just no way I could pick one single photo to answer your question. :: Is there one particularly scary tale while photographing that you can share with us? :: What are your plans for the months ahead? Any projects or trips you want to talk about? Outside of being in college, I will be photographing as much as possible around the Pacific Northwest. 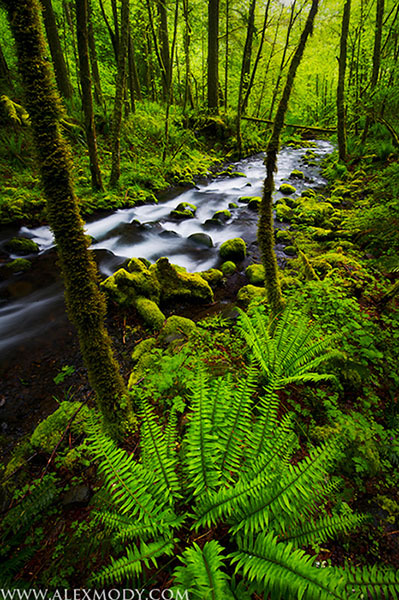 This spring, I will be focusing on the locales closest to me, the Olympic Peninsula and Columbia River Gorge. In addition, I have a few private tours lined up for the next few months. I also plan to work extensively on my first two eBooks. This summer, I will be touring Europe for six weeks with the band I play in, for which I cannot express my excitement. :: What is your advice to people just getting started with photography? Keep shooting as much as you can, keep a wary eye on those saturation sliders, and... DON'T BUY IT!